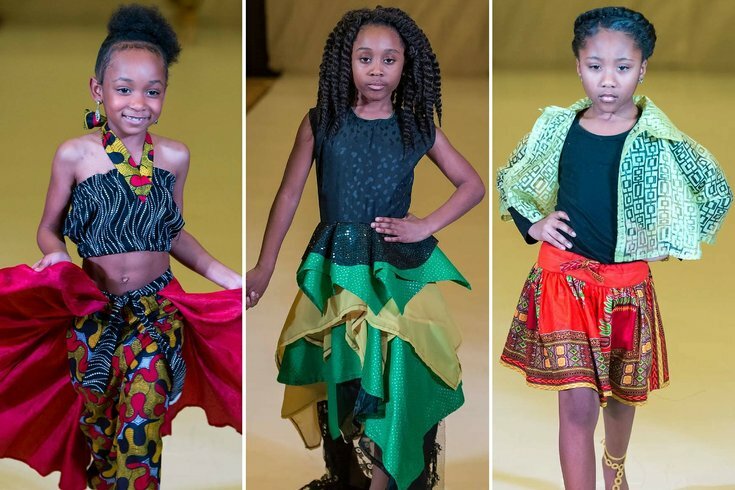 Just last week we talked about Egypt “Ify” Ufele, the 10-year-old who debuted her clothing line at New York Fashion Week. We assumed she may have been the youngest fashion designer to get her line in front of a huge audience, but apparently she’s not. Philadelphia second-grader Nyjha Lawrence is only 8-years-old, and not only is she an incredibly cute fashionista, model, actor and student at Christ the King School, the little lady also hosted her own fashion week debut at Atlantic City Fashion Week on Friday, Feb. 26. Nyjha sent looks from her latest Saphari Designs collection, full of bright, energetic outfits for young girls, down the runway starring some completely adorable friends and fellow models. Just like Ify, Nyjha started sketching designs and sewing at a very young age. “I just noticed that whatever she was drawing, it was always a girl in some type of outfit,” her mother, Christine Brown, said ahead of the big show. So, after taking some sewing classes and becoming interested in design, Nyjha decided to launch a line of her own, and Saphari Designs was born. The lesson here is, as parents we should pay a lot of attention to our kids and their passions, and help them in whatever way we can to live out their dreams. Talents show at a very young age.